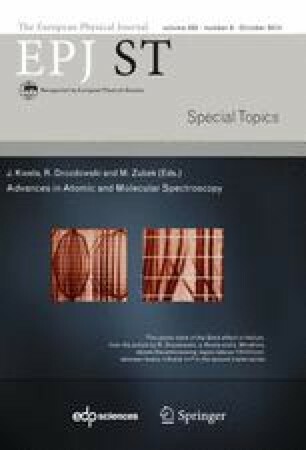 In this paper, using the idea introduced in (K. Wódkiewicz, Noise in strong laser-atom interaction, Proceedings of the VI International School of Coherent Optics, Ustron, Poland, September (1985) 19–26) and developed in (Cao Long Van, Stochastic Models of Isolated Collisions: Applications to Optical Phenomena, paper presented in LAMP Conference’89, Trieste, Italy (1989) II) we consider the influence of collisional fluctuations on the Mollow spectra of resonance fluorescence (RF). The fluctuations are taken into account by a simple shift of the constant detuning, involved in a set of optical Bloch equations by collision frequency noise which is modelled by a two-step random telegraph signal (RTS). We consider in detail the Mollow spectra for RF in the case of an arbitrary detuning of the laser frequency, where the emitter is a member of a statistical ensemble in thermodynamic equilibrium with the buffer gas at temperature T which is treated as a colored environment, and velocity v is distributed with the Maxwell-Boltzmann density.